If you ever see tourists wandering around the Minami-Senju area, you can bet that they're staying at backpacker hostels such as this one. 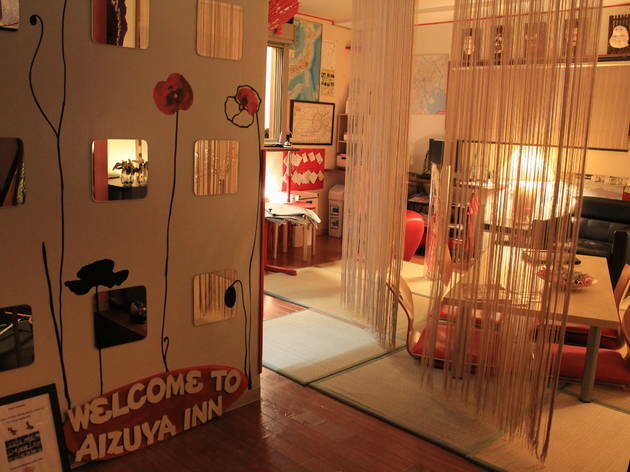 Aizuya Inn offers a laidback atmosphere, eclectic music and multilingual staff who can give advice on opening a bank account or getting medical care (alongside the more obvious travel information). 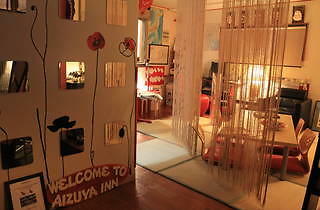 Guests sleep on futons in tatami-mat rooms, starting at ¥2,200 for a dorm or ¥3,250 for a single. The price includes free WiFi, use of a tiny communal kitchen and a lounge with cable TV and complimentary soft drinks – though not the coin-operated showers, which cost ¥100 for five minutes (cheeky, that).